Well, that was fast. 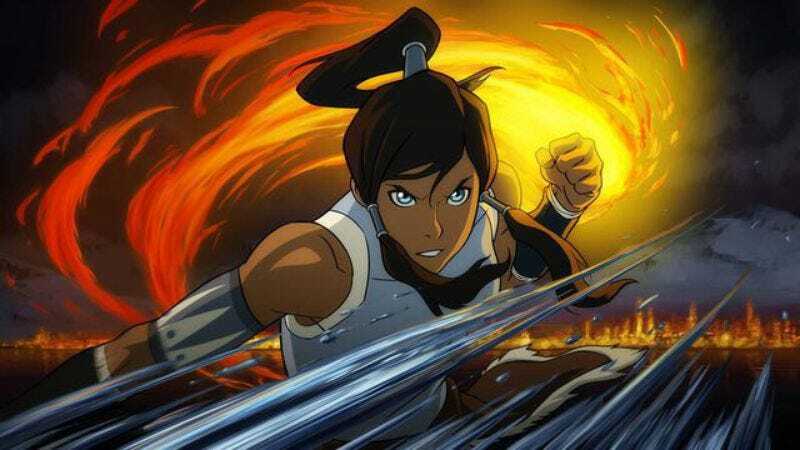 Back in July, we reported that Nickelodeon had pulled the remaining episodes of The Legend Of Korra from its schedule, forcing people to go online if they wanted to see how the third season would end. At that time, Bryan Konietzko and Mike DiMartino—the show’s creators—said Korra hadn’t been cancelled, but that assurance did little to calm fans’ fears that Nickelodeon would still take its time putting another season into production. Finally, though, after an agonizing wait of about two weeks, Nickelodeon has announced the premiere date for season four: October 3. As in, this October 3. The one that’s in a few weeks. That’s the day the first episode will be available on Nickelodeon.com, with new episodes joining it every Friday after that. As for what to expect from season four of Korra, we still don’t know very much. In the same video in which they reveal the premiere date, Konietzko and DiMartino say the season’s title is “Balance,” but that’s pretty much all we’ve got. Luckily, we don’t have to wait very long in order to see it for ourselves. Hey, it sure is amazing how quickly a TV show can be made when its network doesn’t seem to care about it at all, huh?